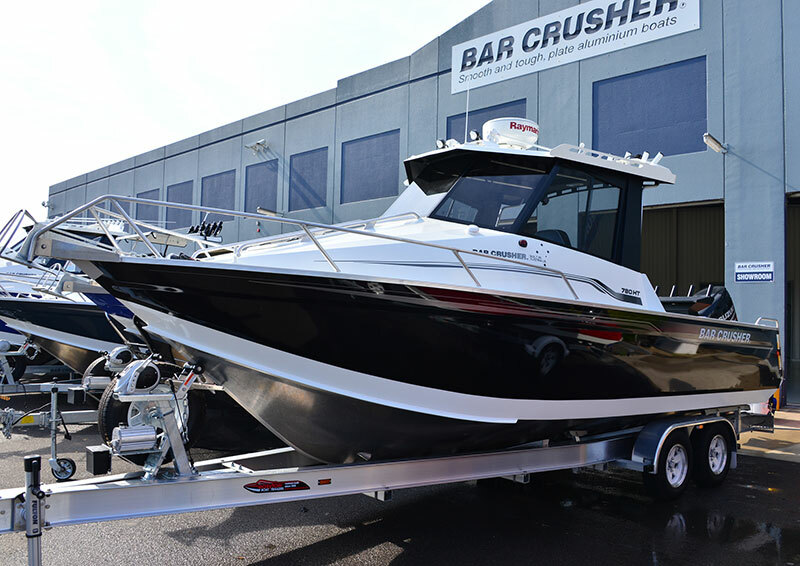 Australian plate aluminium boat manufacturer Bar Crusher continues to lead the charge in trailer boat innovation with the introduction of a new series of custom-designed alloy trailers. Available as an option with the 615, 670, 680, 730 and 780 hull series, the premium-quality alloy trailers shed up to 150kg off the average tow weight on the larger models. Bar Crusher director Peter Cleland said the alloy trailer option again lifted the bar to a new level, by offering a range of lightweight, high-quality trailers under Bar Crusher’s range of high-performance sportfishing boats. “All Bar Crusher boats are factory-packaged on custom-designed trailers to deliver the ultimate boating experience on the water, at the ramp and on the highway,” Mr Cleland said. “For people who consider tow weight a limiting factor in their purchasing decision, Bar Crusher’s new alloy trailer series provides a workable solution to owning the boat they really want. Specifically engineered for each boat to ensure maximum support and stability, Bar Crusher’s alloy trailers are more heavily constructed than most other alloy trailers on the market. With heavy duty 190mm beam rails, the trailers feature torsion bar axles, stainless steel callipers and vented rotors. The full keel roller system incorporates sleeves in the polyurethane rollers for less rolling friction at the ramp, while a premium winch ensures the boat is held securely while on the road. Alloy wheels, heavy duty swing-up jockey wheel, and fully-sealed and waterproof LED lights are standard on every trailer. The new alloy trailers also incorporate Bar Crusher’s Bar Catch™ launch/retrieve system, to ensure a hassle-free experience at the ramp.